It's time for your runners to set their Garmins! Create a sense of anticipation when you send out personal Run for a Cause Invitations before your next racing event. 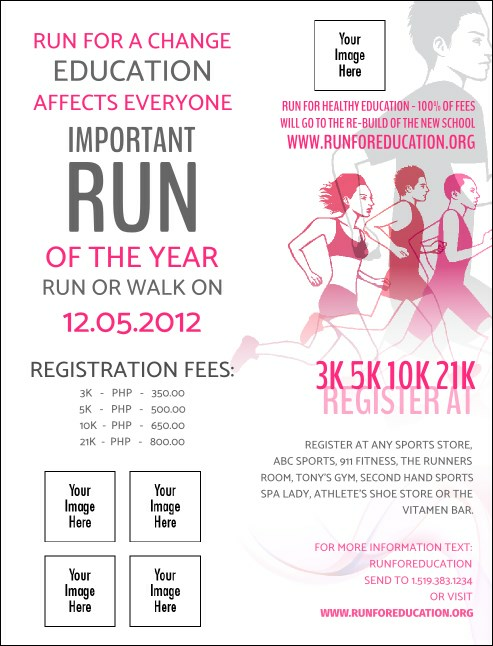 Each Invitation features runners in hues of bright pink, pounding the pavement to get to the finish line. Upload your own images for an extra personal touch. Generate support for your cause with Invitations from TicketPrinting.com.